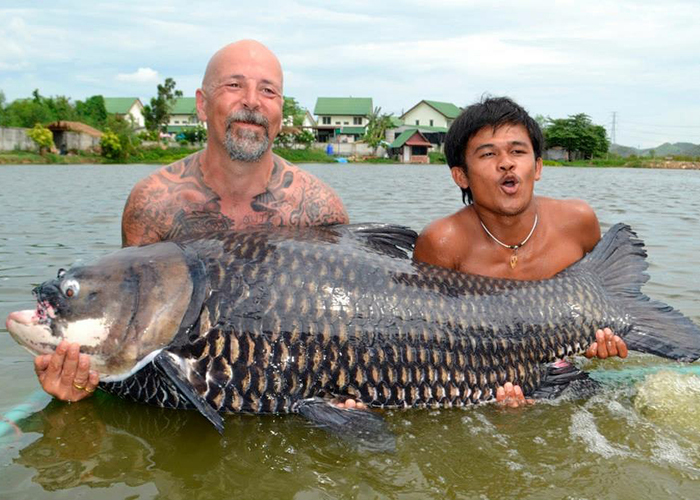 If you are looking to enjoy some of the finest fishing in Thailand, make sure that you head to the Palm Tree Lagoon. Located in Ratchaburi, around 2 hours’ drive to the west of Bangkok and around 2 and a half hours drive from Hua Hin, this is a fishing location that offers everything you could want. With well over 100 different species of fish to look out for in Palm Tree Lagoon, there is something for everyone in this part of the country. 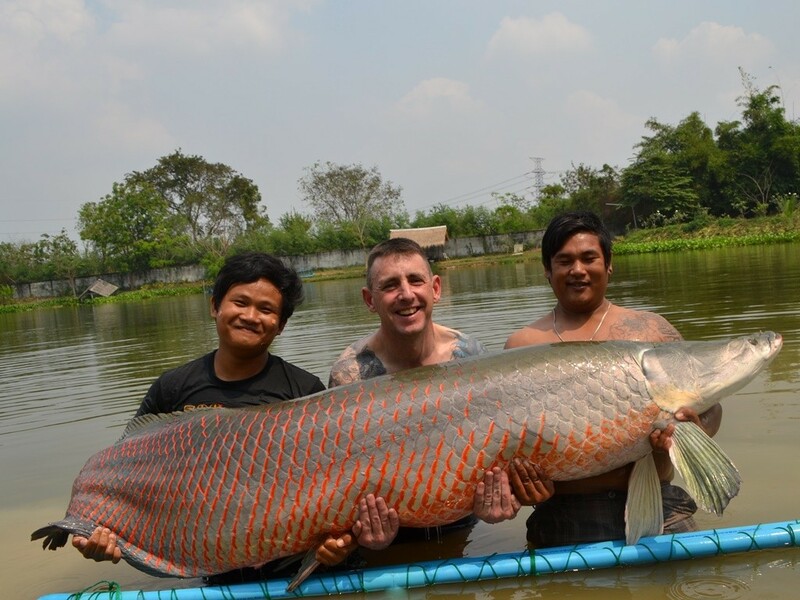 The largest fish caught in the area was an Arapaima Gigas weighing in at 225kg and there are other fish in residence weighing in at over 200kg, providing an almighty challenge for anyone looking to catch some big fish. 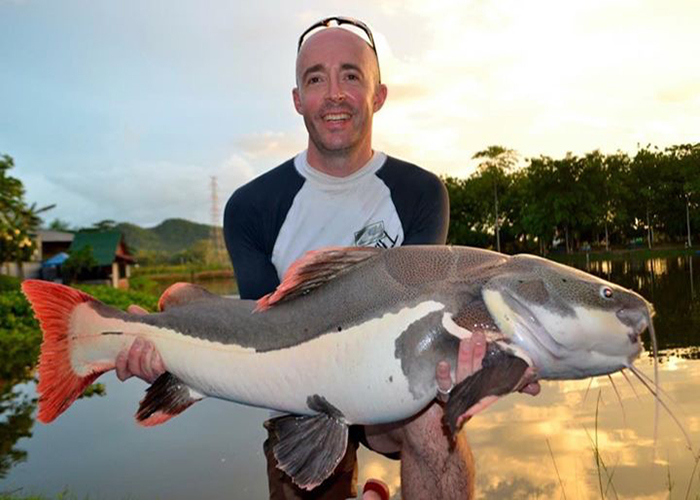 The Pangasianodon Gigas provides further opportunities to catch a fish weighing over 100kg, so for big fish, Palm Tree Lagoon is the place to visit. The Palm Tree Lagoon is a strict catch and release fishery, so please bear this in mind before attending the fishery. There are strict rules and regulations in place surrounding bait and fishing equipment, which you will be provided with as part of the overall package. The guides at Palm Tree Lagoon have been highly recommended by many travellers as being the best in Thailand, if not the world. They are more than happy to cater for requests for any fish that they have, allowing you to catch the fish of your dreams. One neat addition from the Palm Tree Lagoon is that if you fail to catch a fish during your full session, you don’t have to pay for the package. The fishery says that this is yet to happen but if you have a day where everything conspired against you, this is a nice bonus to take the edge off of the annoyance of striking out. 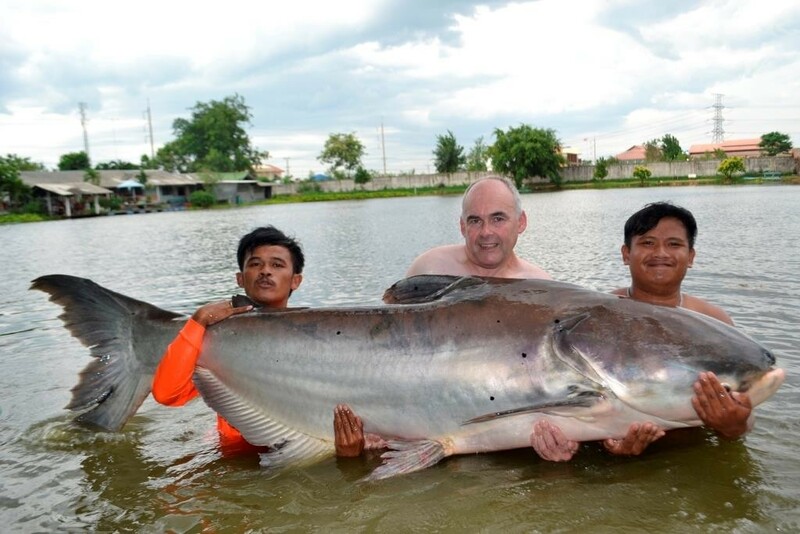 Some of the fish to look out for at the Palm Tree Lagoon include Arapaima, stocked to 220kg, the Mekong Catfish (Giant), stocked to 140kg and the Stringray, stocked to 100kg. 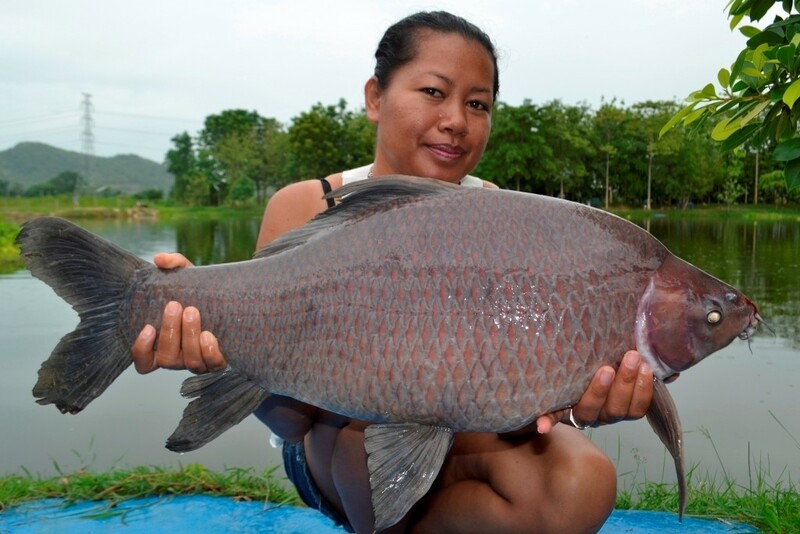 You will also find the Siamese Carp (Giant), stocked to 100kg and the Cheow Phraya Catfish, stocked to 96kg. There is a restaurant and bar available at the fishery, providing a wide range of meals and alcoholic and non-alcoholic drinks. There is a full support staff available for all guests and guides are readily available to go out fishing with you. The fishery aims to provide a sustainable and enjoyable fishing experience, which means that following the rules of the guides will provide for the most pleasant and enjoyable fishing trip. Package includes Rod Hire x 3, Tackle, Adequate allowance of Bait, Fishing Guide (Barry Gregory), Meal (Breakfast or Lunch), Soft drinks and transfers from Cha Am £130 per angler per day. Without transfer includes all of the above for £120 per angler per day.